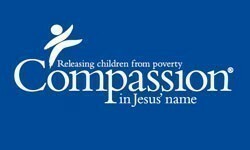 Compassion Australia is a Christian child development charity, working in more than 25 developing nations to release children from poverty in Jesus’ name. Founded in 1952, Compassion began by providing Korean War orphans with food, shelter, education and healthcare. Today, more than 1.8 million children attend Compassion’s church based projects in 25 of the world’s poorest countries. Worldwide, 385 million children live in extreme poverty. Poverty robs children of their basic rights to learn, play and grow. In its ugliest form, poverty can lead to exploitation, child labour and even death. It’s unacceptable. That’s why our Child Sponsorship Program exists. Because more powerful than poverty is the hope of Jesus, the care of a local church and the encouragement of you: a loving sponsor and supporter. Currently we are serving 1.8 million children globally. 116,000 of those children are supported through over 80,000 generous Australian supporters. Our Child Sponsorship Program works. Independent research shows Compassion sponsored children stay in school longer and are more likely to grow up to be employed and leaders in their churches and communities. Through your support, Compassion works with mums and babies to prevent premature death, secure good health and enable positive development for babies and their caregivers. In times of immediate need, Compassion steps in to help children. Through your generous support, Compassion church partners work effectively to address the most pressing needs of children in our programs. Compassion Australia is one of 12 partner countries from around the world who provide the funds, resources and assistance for the implementation of Compassion’s programs around the world. Compassion Australia is based in Warabrook, NSW, and has regional offices in Perth, Sunshine Coast, Sydney and Melbourne. We now have over 150 committed team members and many more volunteers who offer their time, energy and skills to help fulfil our mission. Compassion Australia is managed by CEO, Tim Hanna, with the help and guidance from our voluntary Board of Directors. Thank you for considering a gift to Compassion in your Will (also known as a bequest). Including Compassion in your Will is a powerful gift with life-changing and eternal impacts. It will assist and empower children in desperate need, providing them with the spiritual, emotional, economic, social and physical support they need to be released from poverty. Your gift, no matter how big or small, will be so much more than a financial donation; it will leave a legacy of kindness and generosity to echo across generations. It will be used with wisdom and integrity to transform lives and create new futures for children and their families currently living in poverty. There are many options for making a life-altering, strategic difference with Compassion. 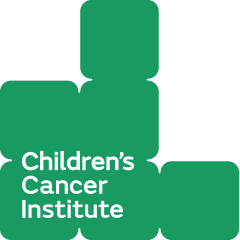 You can sponsor a child or many, give a student the gift of tertiary education and leadership training, support infants and their caregivers in the early crucial years, support a critical intervention, leave a bequest to Compassion in your Will, become a Compassion Advocate, or make partner with us as an individual, business/corporation, community group, foundation/trust or church. Sponsor a child or give to one of our many programs through our website or by phoning 1300 224 453.